And the Soap Challenges continue with a Mantra Swirl…. 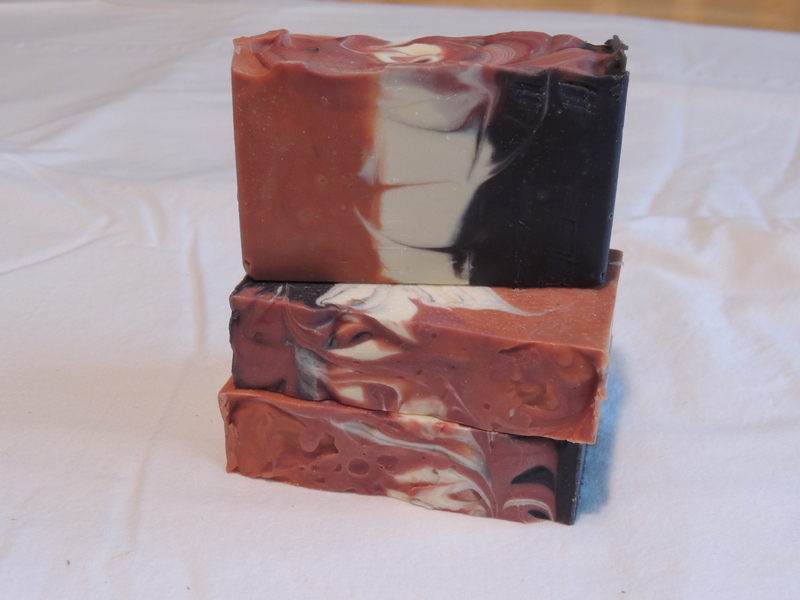 Home / soaps / And the Soap Challenges continue with a Mantra Swirl…. And I bet you are saying, WOW that looks really interesting and what the heck is that supposed to be? A little history before I let you in on what this contraption does or how it is used. 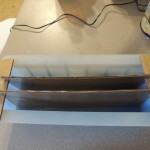 I have joined the Soap Challenge Club sponsored by Amy Warden of Great Cakes Soapworks which helps all of us push the envelop in our soapmaking skills. This month’s challenge was the Mantra Swirl and the one I attempted is what has been called the modified Mantra Swirl. 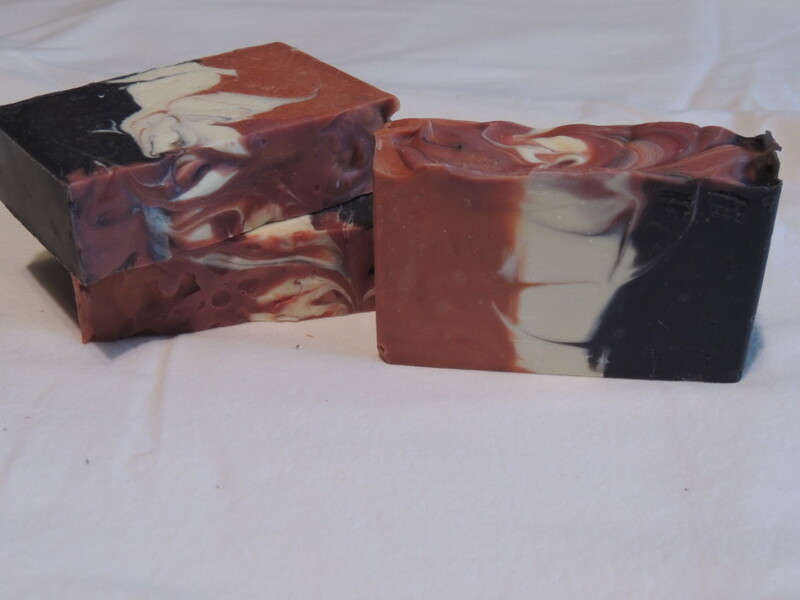 There are several versions out there in soap land, one is on the Bramble Berry Site known as the three color Mantra Swirl and the other is a You Tube video by AmathiaSoapworks . 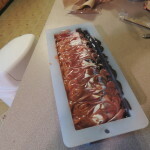 I made my soap batch and scented it with Lemongrass and Patchouli blend. I then divided it up into smaller batches and left one white and colored the other ones with Tangerine and Midnight Blue Micas and one last bit with Merlot Mica. I put the Tangerine & Midnight Blue batches on the outside with the white in the middle and the lifted out my cardboard dividers. 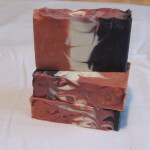 I then splooshed ( very technical soap term) the Mica bit down on either side of the white and then swirled the top abit. After I admired my creation I realized I had not swirled the inside and thunked myself on the head! 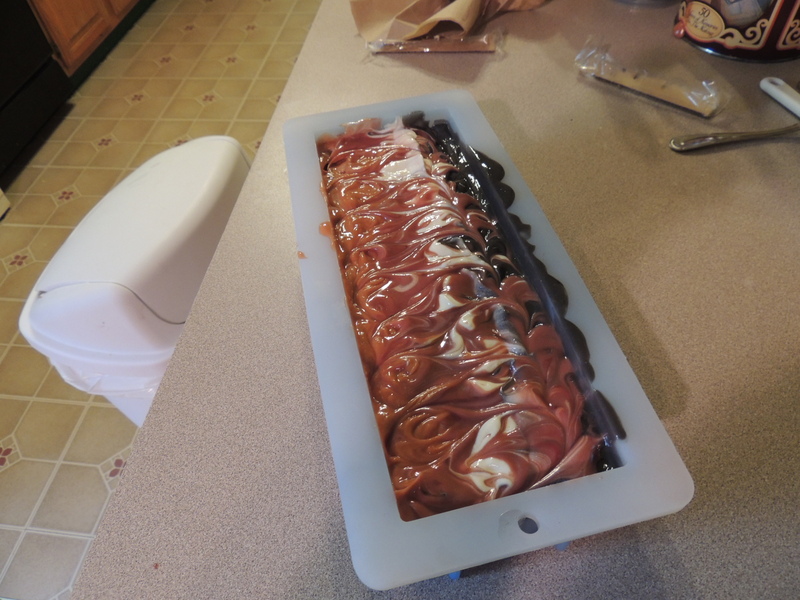 I got my handy hanger that I had made to swirl and swirled the inside. It messed the final look of the top somewhat but all was done and I laid my baby soap to rest overnight. I was sitting on my hands with anticipation with how the final cut bars would look. 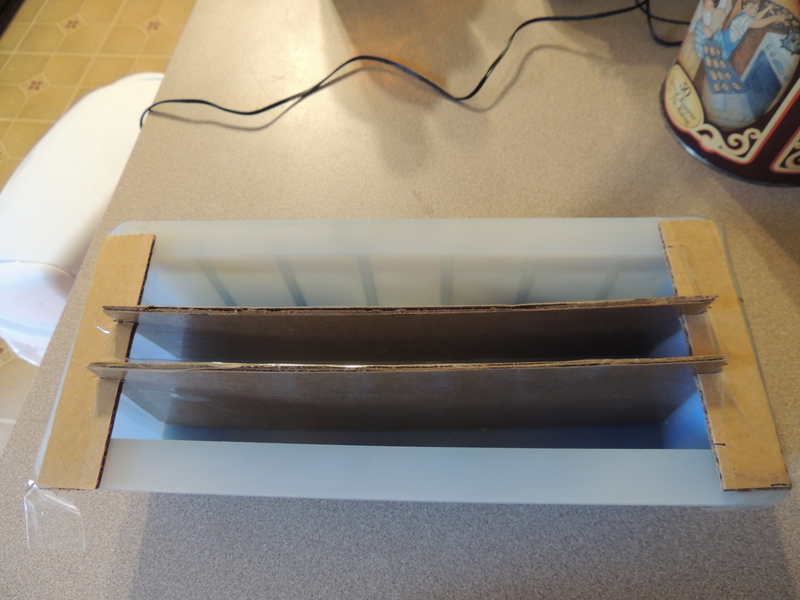 Many soapers are like little kids waiting for Christmas when wondering what a new soap will look like when cut. And when I was finally able to cut into that loaf I was feeling pretty good with the result as not so bad for sure. And here is ( drum roll please) My Mantra Swirl! What challenges have you put for your self this week? I love these colors together, reminds me of canyons in Utah and Arizona! I have been to Sedona in Arizona and love it there! And yes the red rocks LOVE them! Thanks for the image! Me too! :o) Thank you so much for these soap challenges as it helps me push the envelope!